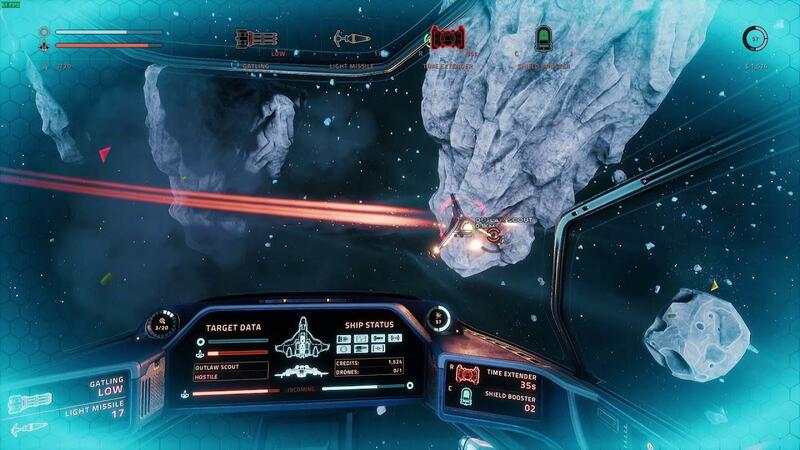 EVERSPACE the absolutely gorgeous space combat game with roguelike elements is now officially available for Linux gamers. Today, ROCKFISH Games released patch 1.2.3 which has numerous fixes and improvements as well. You absolutely do not want to pass this one up if you like a good dogfight, I'm jumping back in as soon as I hit publish to celebrate. Grab it now from Humble Store to get both a Steam key and a GOG build or just head directly to those stores, as today also marks the release of the Linux build on GOG too! Excellent work from Rocksfish, they have a code of honour and made all their possible for the linux release and every other promises, they have top community manager and top devs. The game is just so beautifull I could sit for a few minutes enjoying the beauty of the universe depicted by their visions. No more excuses. This is a Linux gamer must-have title, just buy it! Bought Ultimate Edition and three gifts (Ultimate Edition too). Instabuy on GOG with partner link! Am I weak? I wasn't expecting such a quick release to GOG. A very pleasant surprise. Wish it was more than just a shooter. With visuals like that, there should be opportunities to explore and enjoy the scenery. Mountain Man Wish it was more than just a shooter. Yeah, I'd prefer more emphasis on exploration, but they had to cut corners with randomly generated universe. Finally, lol. Now we only need a nice version of GOG Galaxy for GNU/Linux and all will be truly wonderful! Something like the itch.io client would be more than enough.